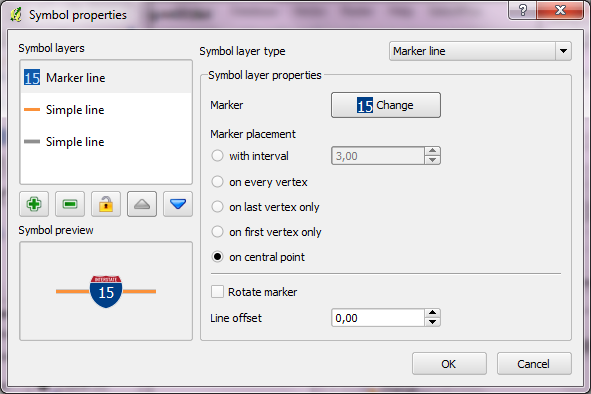 This is a follow-up to my post “Google Maps”-Style Road Maps in QGIS and an answer to @mattwigway’s comment about how to create styles for e.g. US interstates. To create a style like this, you can use the “Marker line” feature. The marker can be built using a blank SVG shield and additional text markers to add the road number on top. This marker line can be put “on central point” to only show up once along the road. You can find interstate and other shield style on e.g. Wikimedia Commons. 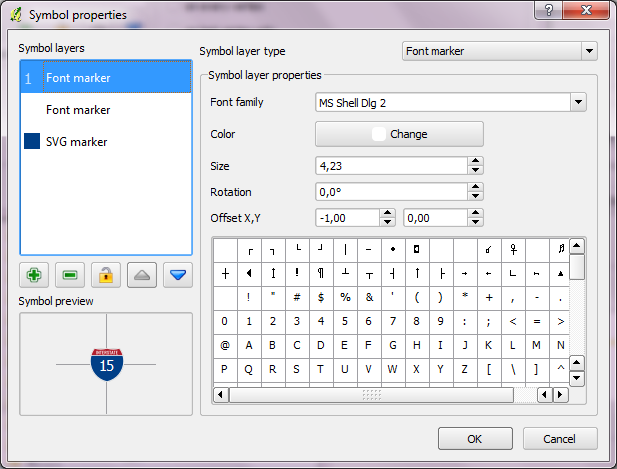 With Inkscape, you can remove the number and thus create a blank marker template. 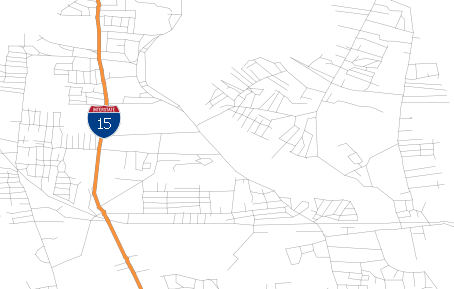 In the future, I wonder if integrating the SVG Params specification ( http://www.w3.org/TR/SVGParamPrimer/ ) is the best way to draw shields; if you could set a ‘data defined param,’ then the interstate label could be automatically drawn for each road, without having to create a separate style. Labelling, for instance, a map of the San Francisco/Oakland/San Jose, California are would be a bit difficult with the method in the post, with Interstates 80, 280, 380, 580, 680, 880 and 980 as well as a bunch of state and US routes.